Set of two posters entitled ‘Moths of the Adelaide region’ were originally published by BCSA 2012 as 2 x A2 posters, which are now out of print. They are now available as a 4 x A3 poster set either in hardcopy or as a download. We thank Konica Minolta for printing the hardcopy. 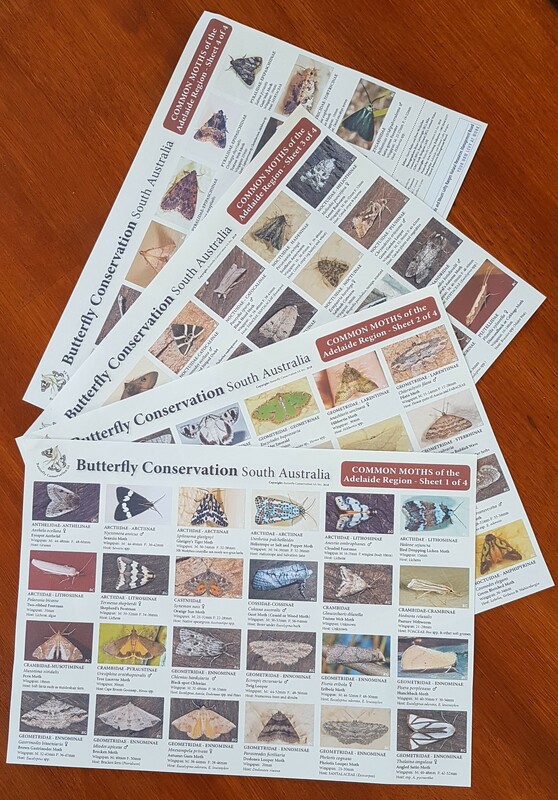 If you wish to receive a set by download please email: publications@butterflyconservationsa.net.au. The hardcopy posters are free for Schools – only pay postage and packaging cost of $12 (Please specify school name in checkout).